The official press release reported that Cody J. Martinez, chairman for the tribe, stated that just two years ago they broke ground and were committed to being the premier destination for gaming in the county and they have delivered on that promise. He added that the project wouldn’t have been successful without the vision and support of the Sycuan people, their team members plus the unbelievable construction effort by the company Swinerton Builders. It’s a momentous and historic day for Sycuan people and they were very proud to see the unique project become a reality. Having undergone a major renovation in the year 2012, the more recent plans to transform California venue, which is 34 years old, to a Vegas-style casino resort started 2 years ago when the Sycuan people broke ground for the area’s development, and they later held a ceremony when the project was complete. 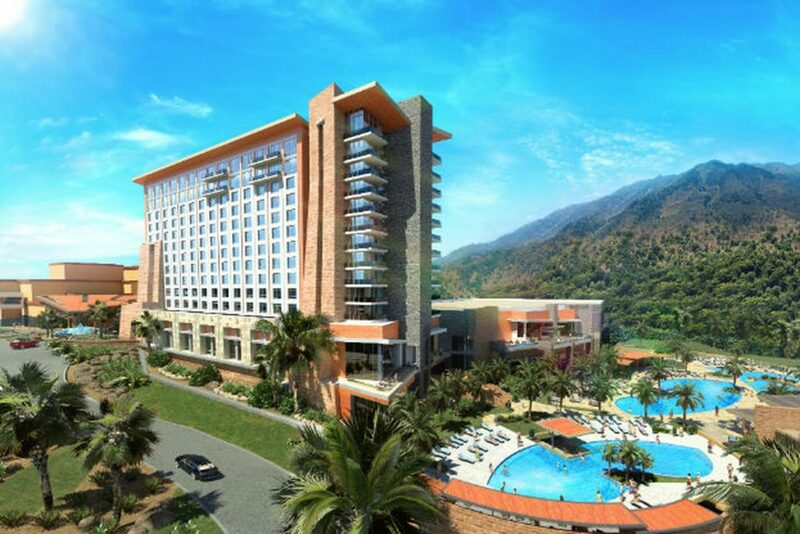 This new hotel and resort is located adjacent to the existing casino; it includes 60,000 sq. ft. of dedicated gaming space. Also, according to the fact sheet by Sycuan, there are 2,800 slots plus 80 table games, which includes an option for a non-smoking gaming area. 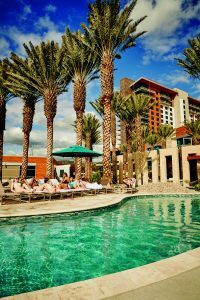 Other ultra-modern resort amenities found at the El Cajon property are a lazy river, a four-acre pool complex with 2 pools, a fully equipped 24-hour fitness center, a full-service salon plus spa with 8 treatment rooms and sauna, and 42,000 sq. ft. of outdoor and indoor meeting and event space. Also, there are now over fifteen restaurants and bars, including The unCommons, a Starbucks plus a fast-casual dining hall that features 5 popular brands in the county; Viewpoint Neighborhood Kitchen, a three-meal restaurant; Bull and Bourbon, a fine dining venue; Elicit Bar & Lounge, a high-end cocktail lounge; and Rank & File, an industrial brewhouse. Additionally, improvements have been made to the existing property in Sycuan. These include furniture, fresh paint, new flooring, plus several other aesthetic upgrades. John Dinuis, Sycuan’s General Manager, said that they undertook several expansions and renovations over the years; however, nothing that can be compared to the scope and size of that project. He continued saying that the significant 260-million-dollar is a Sycuan’s investment, but it’s going to directly benefit East County, San Diego as well, and it will set a new standard of quality for dining, entertainment, and gaming options available throughout the county. 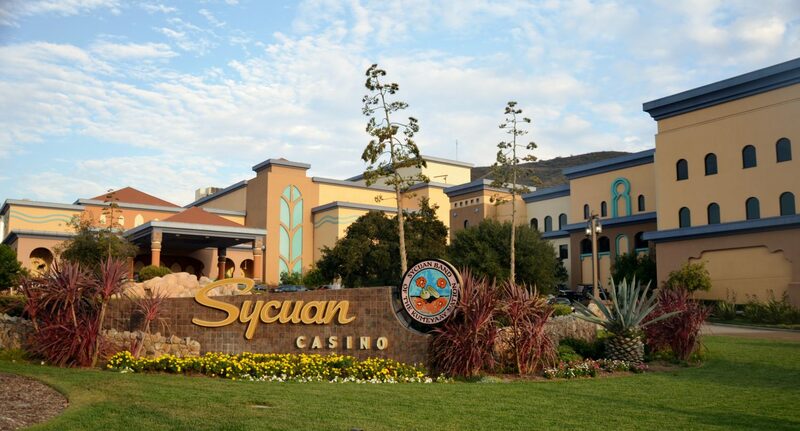 In September 2018, Sycuan Casino made an announcement that as a part of this expansion, it had started hiring for over 700 new jobs in the hotel, casino, and food and beverage departments. At the end of 2018 and into this year, Sycuan Casino hosted a series of career fairs. 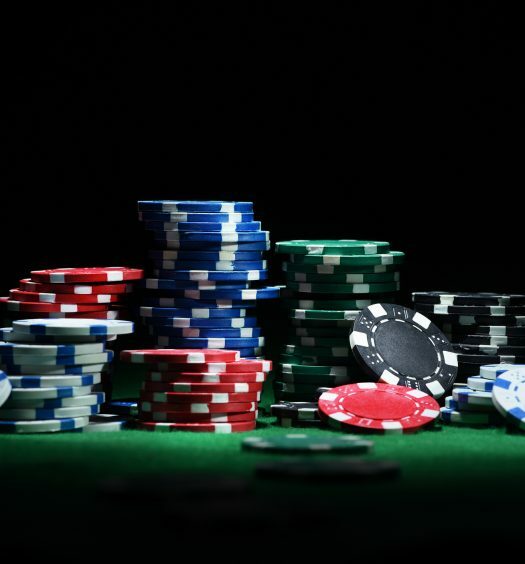 According to NBC 7 San Diego, the tribe‘s new agreement with California State, which allowed casinos to increase their slot machine count from 2,000 to 2,500, acted as a catalyst for this expansion, and casinos around the county are following suit. Martinez stated that Sycuan clearly wanted to stay level with the competition. He added that with their new product, he believes that they are not only keeping up today, but they are jumping ahead some of their major competition out there. In 2018, as reported by, it was suggested that this region is over-saturated, and there’s too much competition being created among the ten casinos in the county. Las Vegas hotels and casinos reviewed and rated, showcasing all of the amazing features that each resort has to offer. Restaurants, theatre and musical shows, shopping, spa and relaxation, clubs and nightlife, casinos, slots and poker. Giving you the best information for your visit to Las Vegas.